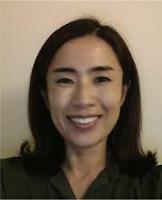 Hyeoneui Kim is informatics faculty at Duke University School of Nursing. Her main research interest is in data interoperability, especially in facilitating data reuse through data standardization. She was a key member of bioCADDIE (https://biocaddie.org), data discovery indexing project. She is interested in ensuring the adequacy of emerging data standards for representing nursing data. Gonzalez-Beltran AN, Campbell J, Dunn P, Guijarro D, Ionescu S, Kim H, Lyle J, Wiser J, Sansone SA, Rocca-Serra P. Data discovery with DATS: exemplar adoptions and lessons learned. J Am Med Inform Assoc. 2018 Jan 1;25(1):13-16. doi: 10.1093/jamia/ocx119. PubMed PMID: 29228196. Kim H, Choi J, Jang I, Quach J, Ohno-Machado L. Feasibility of Representing Data from Published Nursing Research Using the OMOP Common Data Model. AMIA Annu Symp Proc. 2017 Feb 10;2016:715-723. eCollection 2016. PubMed PMID: 28269868; PubMed Central PMCID: PMC5333244. Ogunyemi OI, Meeker D, Kim HE, Ashish N, Farzaneh S, Boxwala A. Identifying appropriate reference data models for comparative effectiveness research (CER) studies based on data from clinical information systems. Med Care. 2013 Aug;51(8 Suppl 3):S45-52. doi: 10.1097/MLR.0b013e31829b1e0b. PubMed PMID: 23774519.